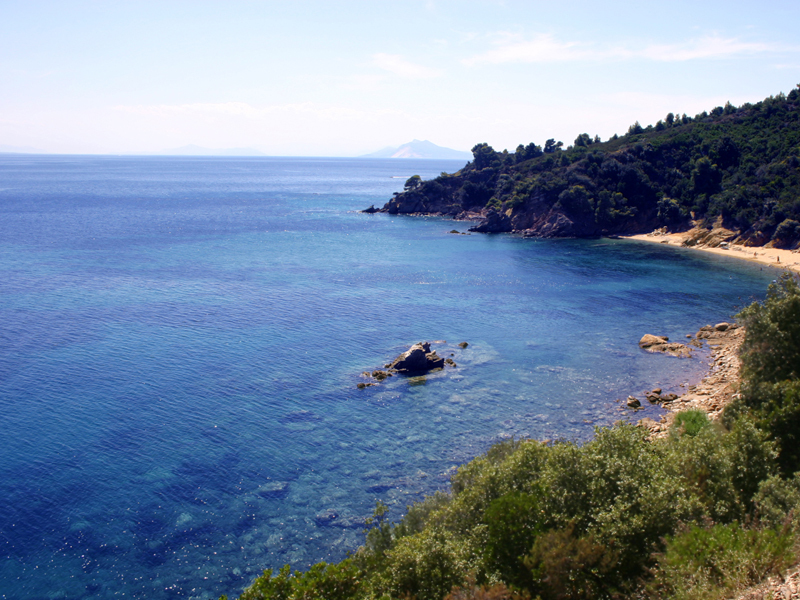 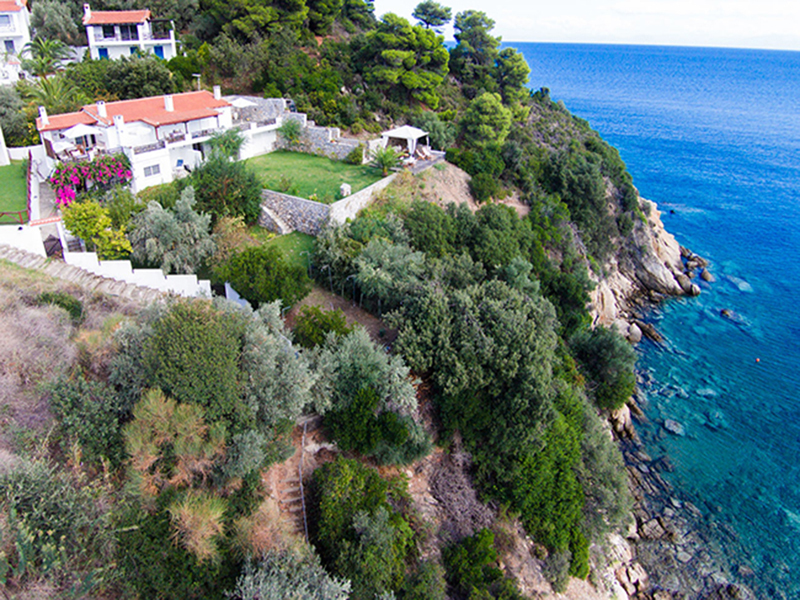 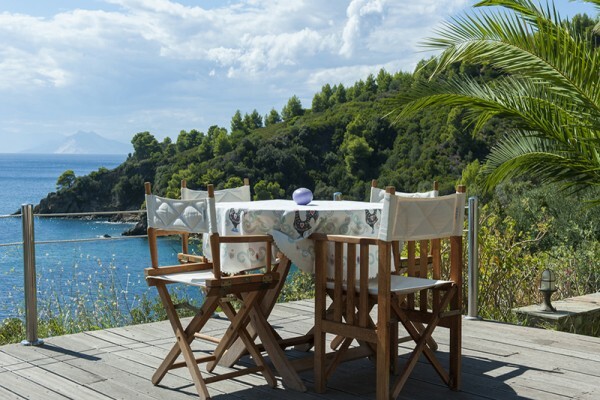 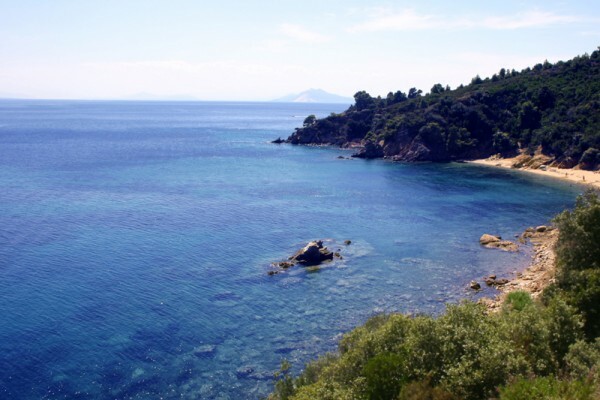 Villa BienVenue of Skiathos is located in the Kalamaki peninsula overlooking the Aegean and the island of Evoia. 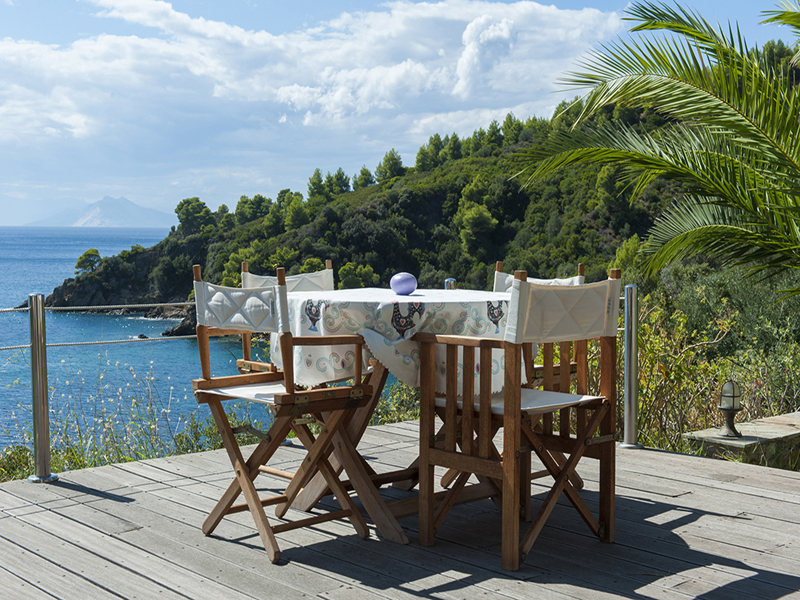 It offers piece of mind, relaxation, romance and a superior deck with views to die for!!! 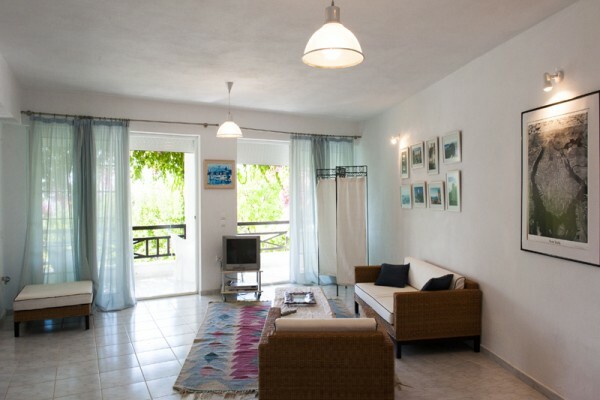 The villa has two beautiful apartments. 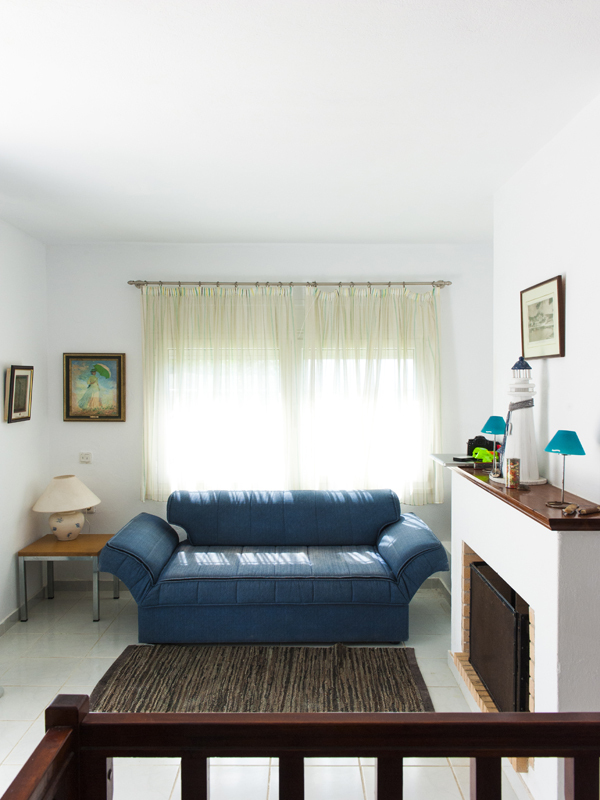 Both are fully furnished in a cozy, environment. 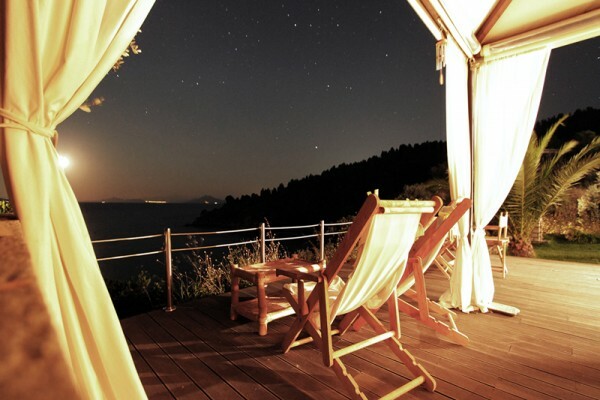 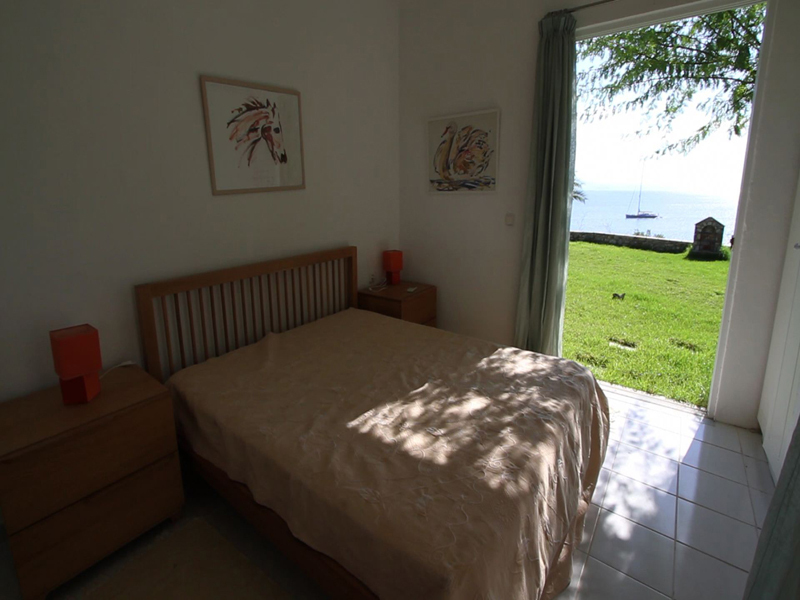 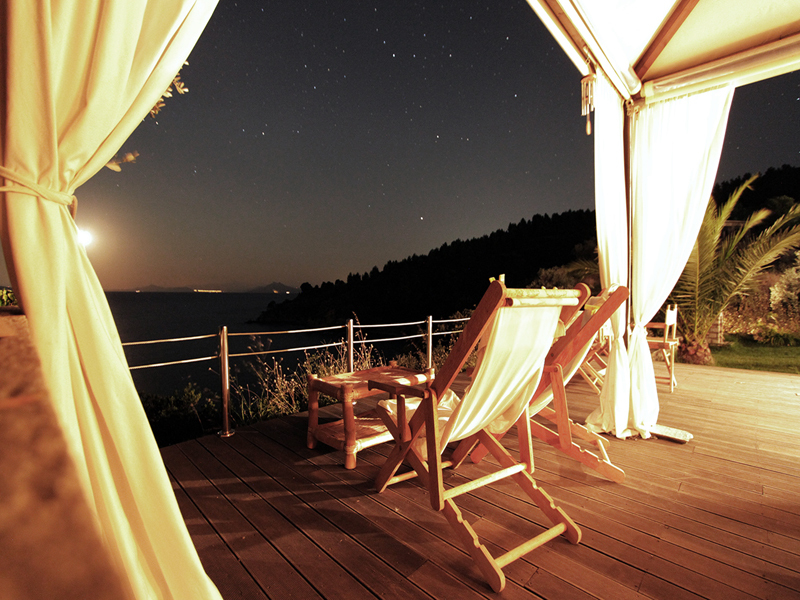 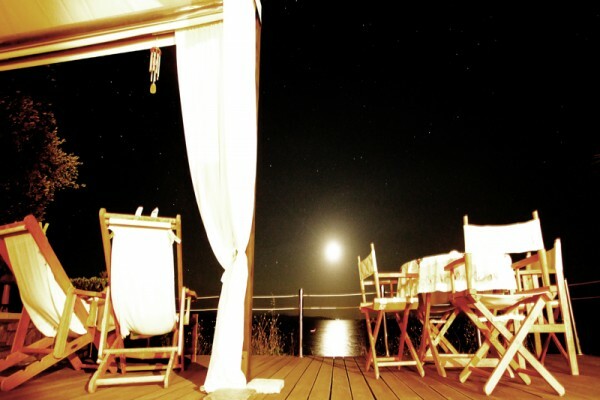 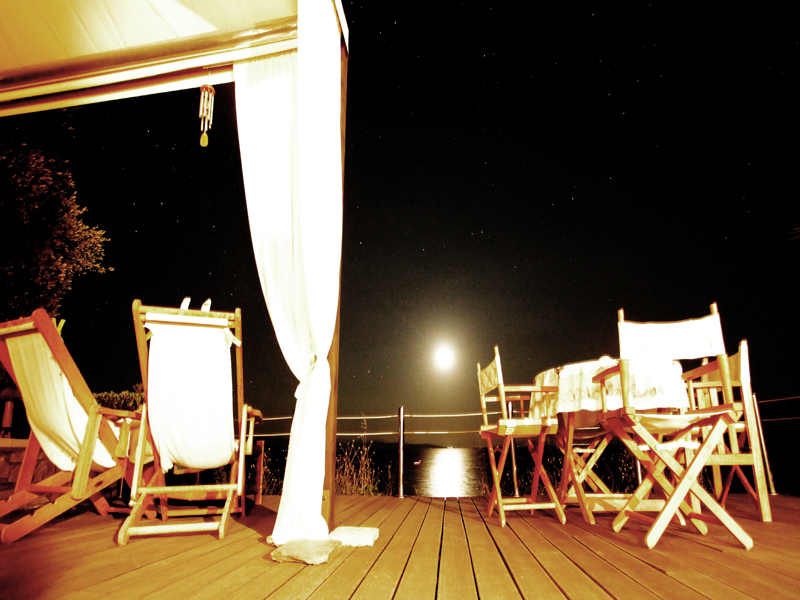 It is the absolute choice that ensures a relaxation and privacy to visitors who love close contact with nature The sea in the morning and the stars at night. 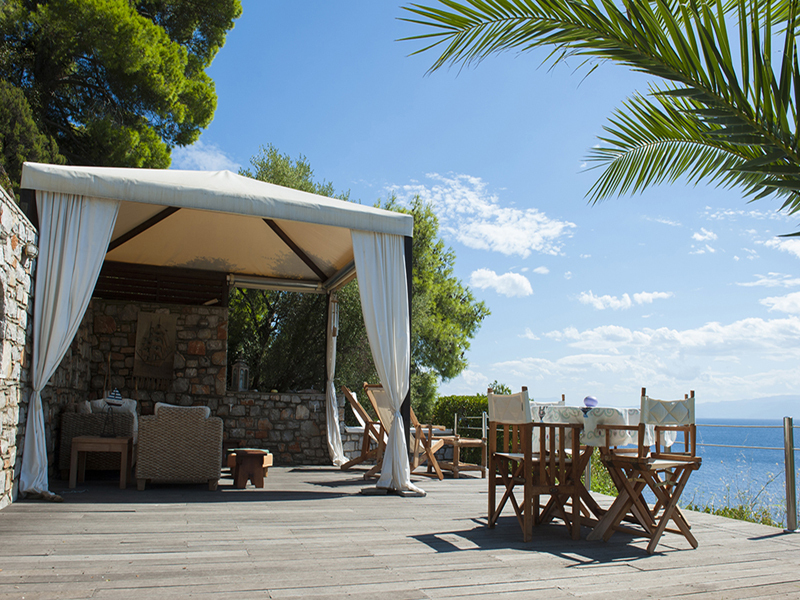 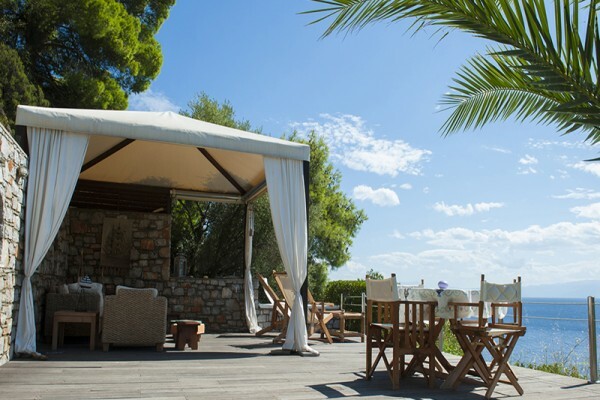 Enjoy a grass garden floating above the sea and a deck with a breathtaking view of the big bleu…Feel that you are surrounded by greenery nestling amongst an orchard of pin trees. 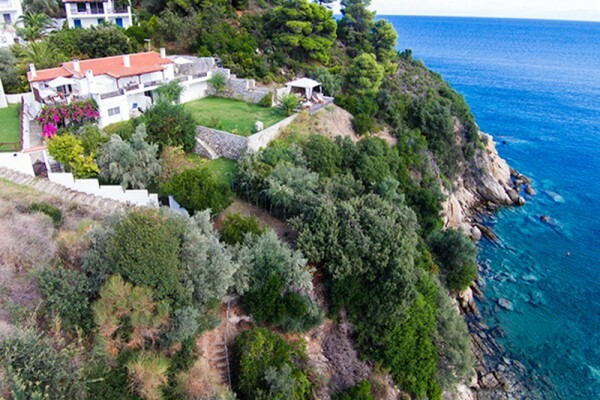 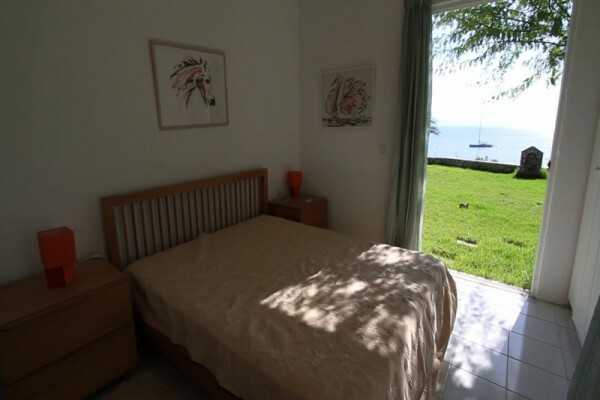 It is a fabulous villa, with its own private beach! 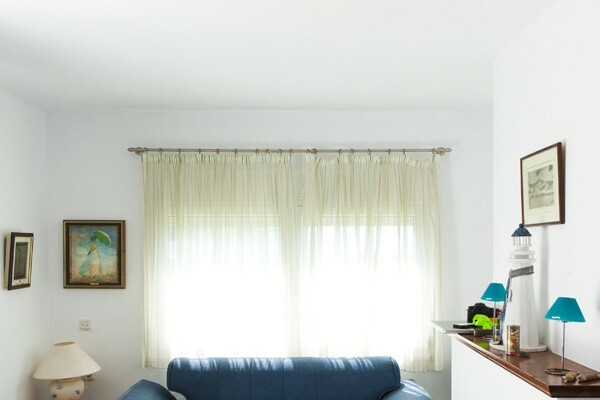 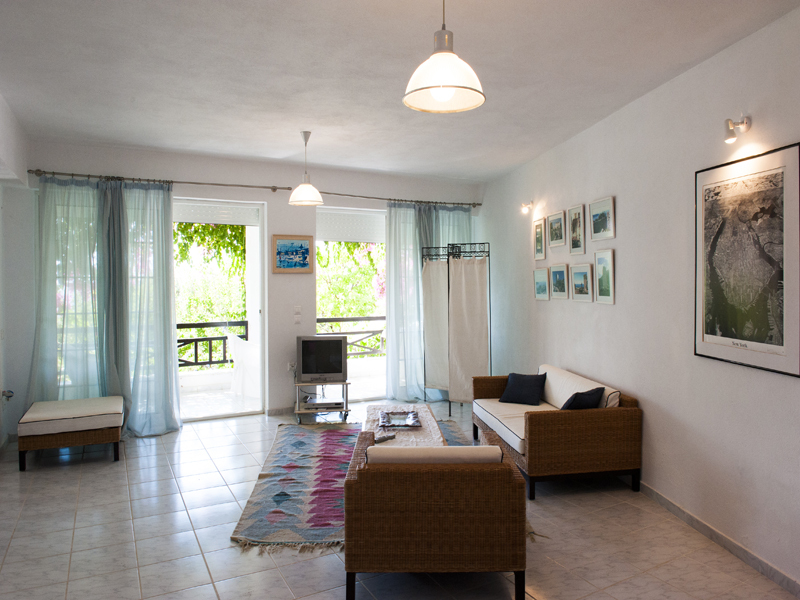 Apartment 1: This is a 70 square meters furnished apartment with two bedrooms; one with a double bed and the other bedroom with one single bed. 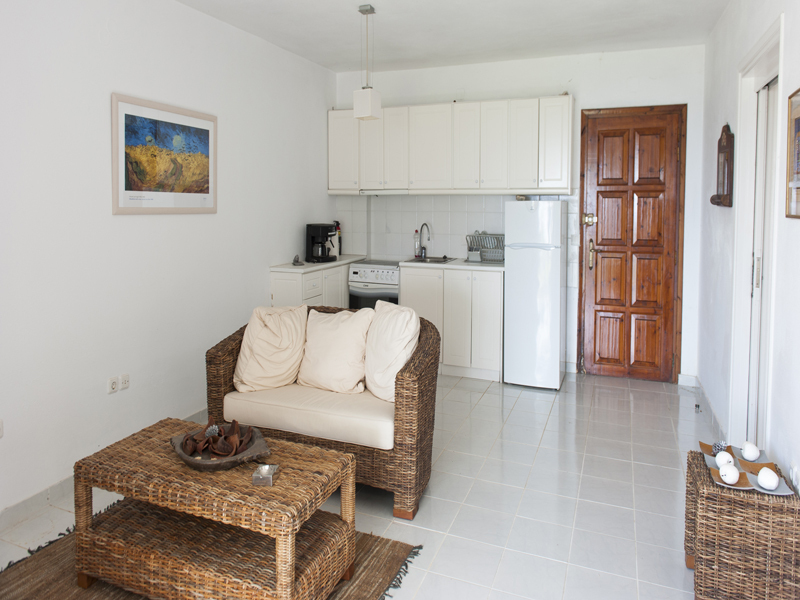 In addition, the apartment features a fully equipped kitchen (with all cookware and utensils that you will need during your stay), one WC with shower a DVD player as well as heating/air conditioning throughout. 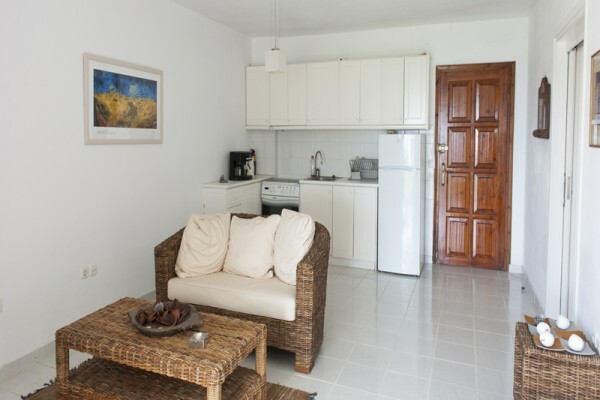 Apartment 2: This is a 110 square meters furnished apartment with two bedrooms; one with a double bed and the second bedroom with two single beds. 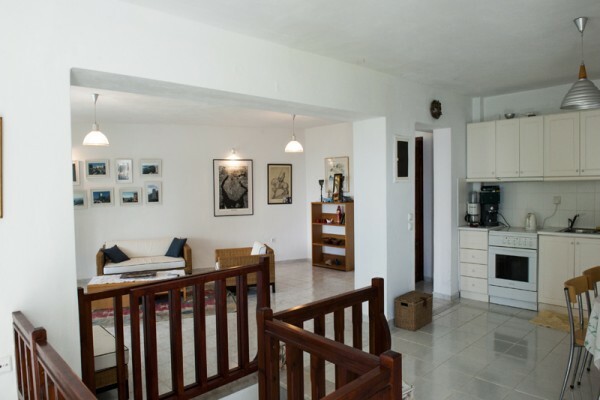 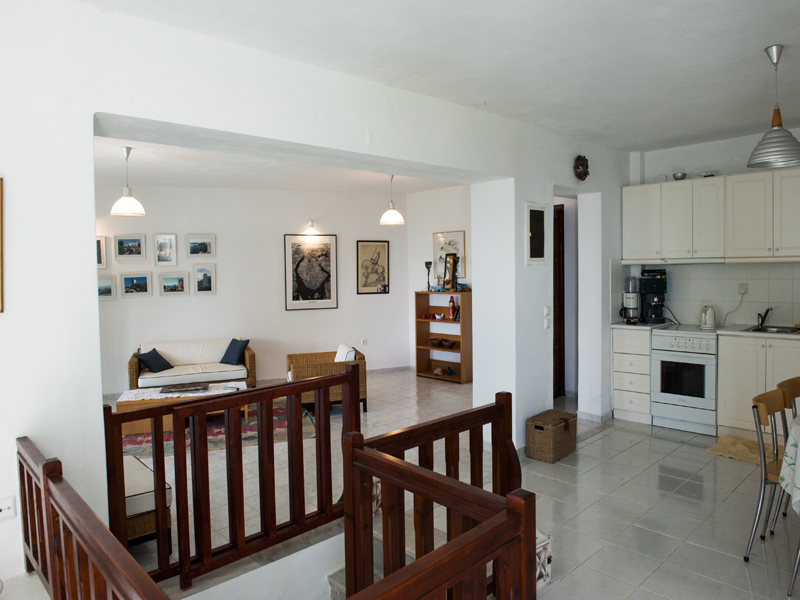 In addition, the apartment features a fully equipped kitchen (with all cookware and utensils that you will need during your stay), two WC with shower a DVD player as well as heating/air conditioning throughout.